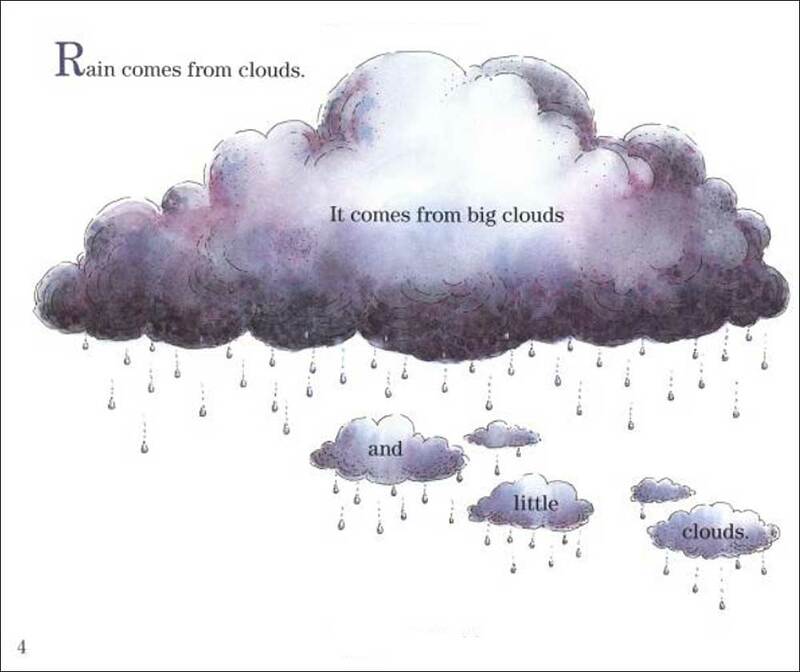 A straightforward, kid-friendly explanations of the water cycle that are made even more clear through Hale's bright pen-and-ink illustrations. This title covers all the basics like how clouds form, why rain occurs, how water is recycled, etc. 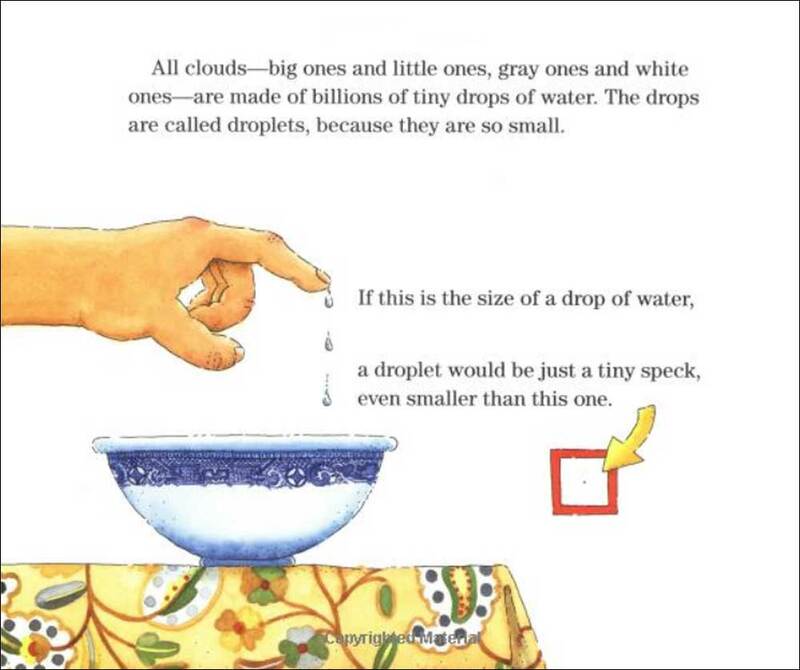 This title uses kid-friendly language and illustrations but also includes scientific explanations that are often absent from more 'cute' titles on the water cycle. 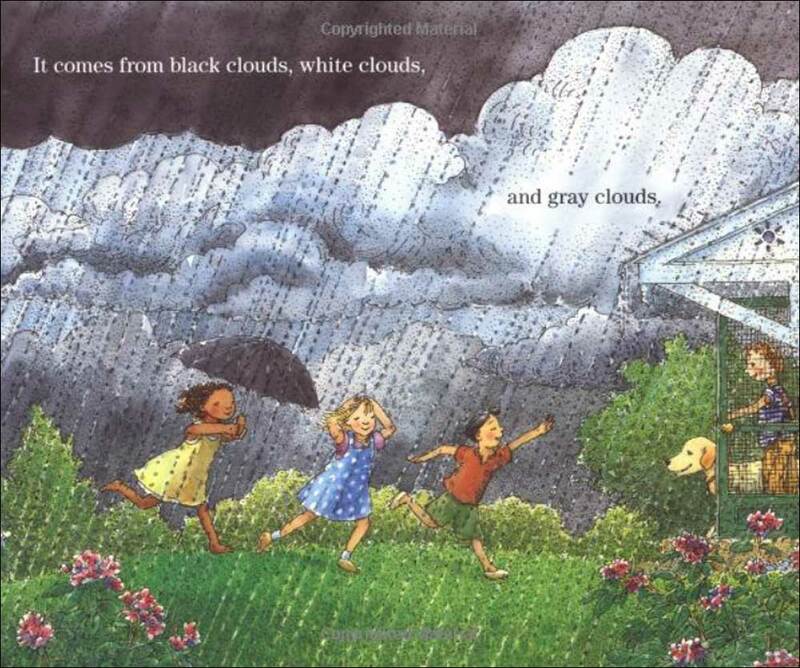 And unlike most other books on this list, this title is great for working into your introductory water cycle lessons -- when you are just starting to discuss the topic-- because this book focuses on defining and explaining components of the water cycle. As always, Franklyn Branley's explanations are clear and kid friendly. This book is part of the popular science picture book series Lets Read and Find Out Science. Like other books in this series, there are some fun related experiments and activities in the back of the book. 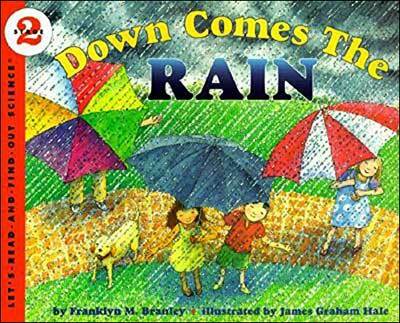 See inside: Below are sample spreads from inside Down Comes the Rain. As you can see, the illustrations greatly aid the learning, and speech bubbles are used as well to add extra clarification. Children are featured making the discoveries and conducting the experiments and the language is clear and accessible. The spread below provides a good example of how the water cycle 'discoveries' featured in this book are all carried out by children. 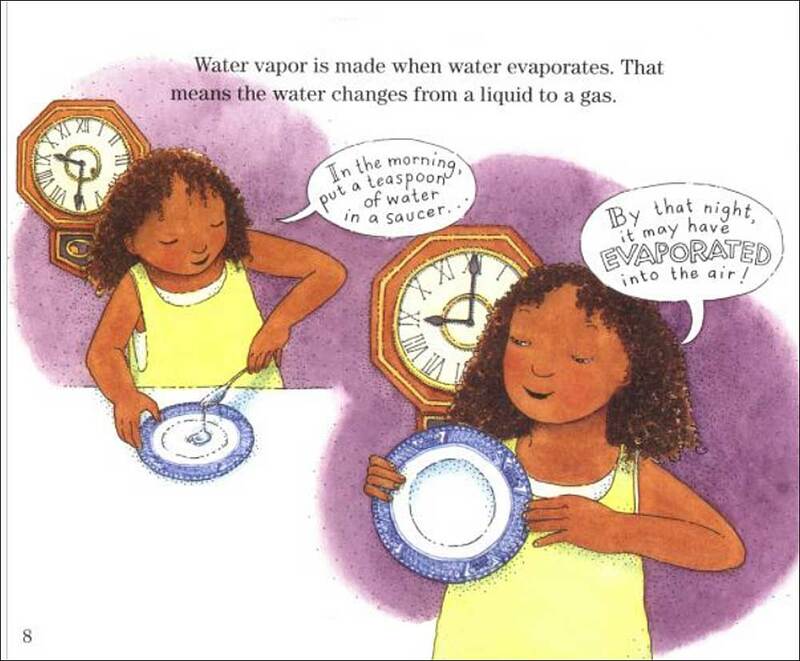 In the illustration on the left, a young girl puts a teaspoon of water on a plate in the morning and by that night, the water has evaporated. 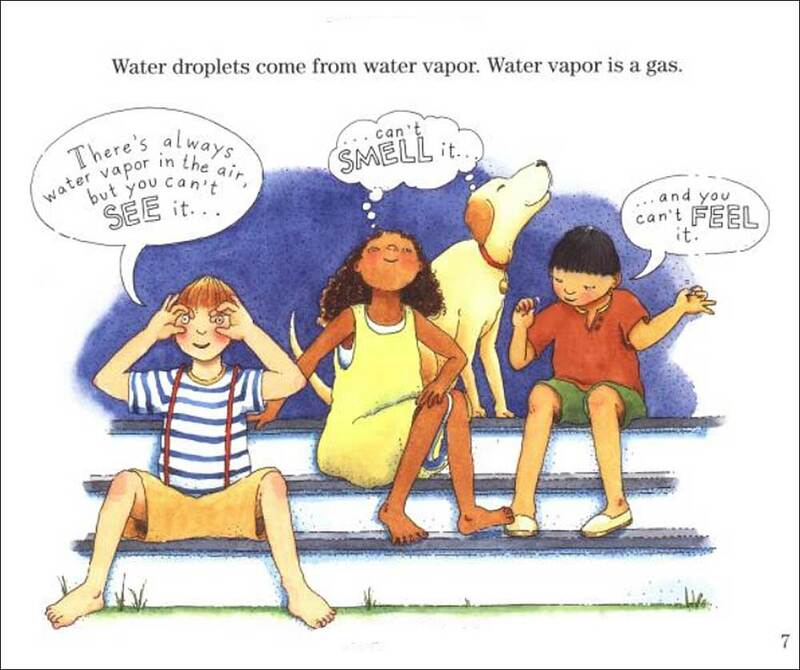 The text at the top of the page reads "Water vapor is made when water evaporates. That means the water changes from a liquid to a gas." 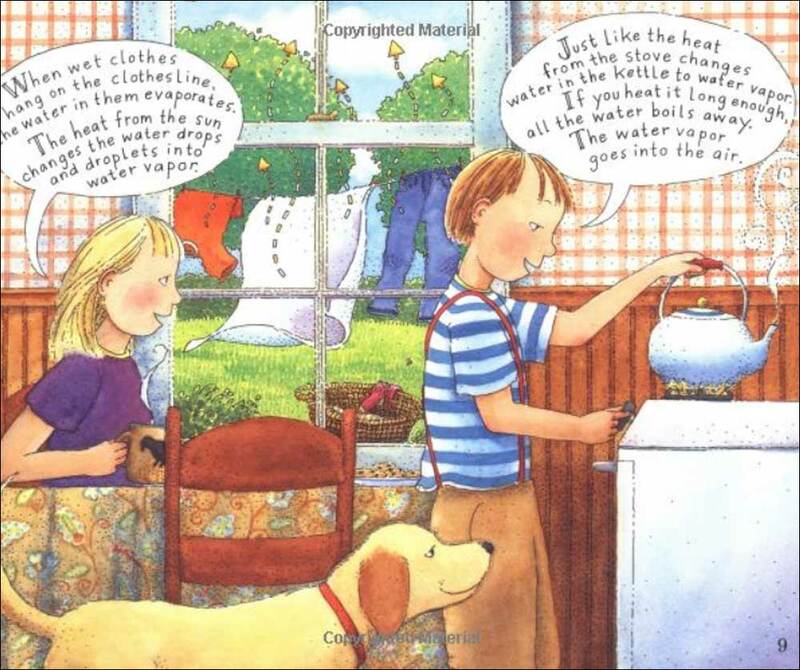 In the illustration on the right, two children are talking through examples of evaporation in their immediate surroundings (clothes drying on a clothesline, water changing to vapor in a kettle). If you like this one, there are more Let's Read and Find Out Science series books. We really like this series. The authors and illustrators do such a good job of taking complex science subjects and putting them into kid friendly doses and language! They are definitely worth checking out.